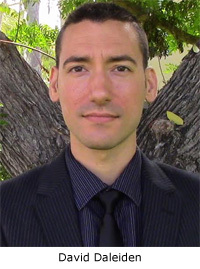 Houston, TX – Yesterday, a grand jury in Houston, Texas, that was supposed to investigate evidence presented by the Center for Medical Progress showing Planned Parenthood of the Gulf Coast’s involvment in the illegal sale of aborted baby parts, instead indicted CMP head David Daleiden and his associate, Sandra Merritt. No true bill was issued against Planned Parenthood. Daleiden and Merritt were charged with one felony related to tampering with a governmental record and a misdemeanor count related to buying human tissue. The felony charge was in reference to actor’s ID cards that were similar to California drivers’ licenses. Troy Newman, President of Operation Rescue, was a founding board member of the CMP and has been sued by the National Abortion Federation and Planned Parenthood in an attempt to deflect from their obvious appalling conduct and to silence the evidence against them. We were disappointed, to say the least, by the news that a grand jury chose to indict the investigative journalists who were trying to expose and report crimes in Houston, Texas. This has the effect of chilling the First Amendment freedom of the press and could scare crime witnesses away from coming forward for fear that they might suffer similar retaliatory prosecution. There is now a pattern in Houston of District Attorney Devon Anderson’s office covering up abortion-related crimes. In 2013, another Anderson-controlled grand jury failed to indict Houston abortionist Douglas Karpen, who was accused by three of his former employees of murdering babies born alive during shoddy late-term abortions by twisting their heads or slashing their throats. Photographic evidence provided to me showed injuries to large aborted babies that was consistent with those claims. Operation Rescue has good reason to believe that evidence was never presented to that grand jury. Because of the secrecy surrounding the grand jury process, it is susceptible to manipulation by a prosecutor with a personal or political agenda. In Kansas, abortion-related grand juries were so influenced by unscrupulous prosecutors who sought to cover up abortion crimes that the State Legislature is now attempting to change the laws to make the process more transparent and accountable to the people. In Daleiden’s case, once the facts are allowed to come out, which Planned Parenthood and the NAF have worked night and day to conceal or misrepresent, we have every confidence that Daleiden and Merritt will be completely exonerated. In the meantime, Planned Parenthood remains under investigation by other state agencies in Texas, which we believe will reach different conclusions than that of the Anderson-influenced grand jury in Houston. UPDATE: Read felony charging documents for Daleiden and Merritt. Note that the charge must be “with intent to defraud and harm another.” Operation Rescue strongly denounces these charges as completely without merit. It is dishonest to portray undercover investigative journalism as criminal conduct when it is actually in the best public interest!